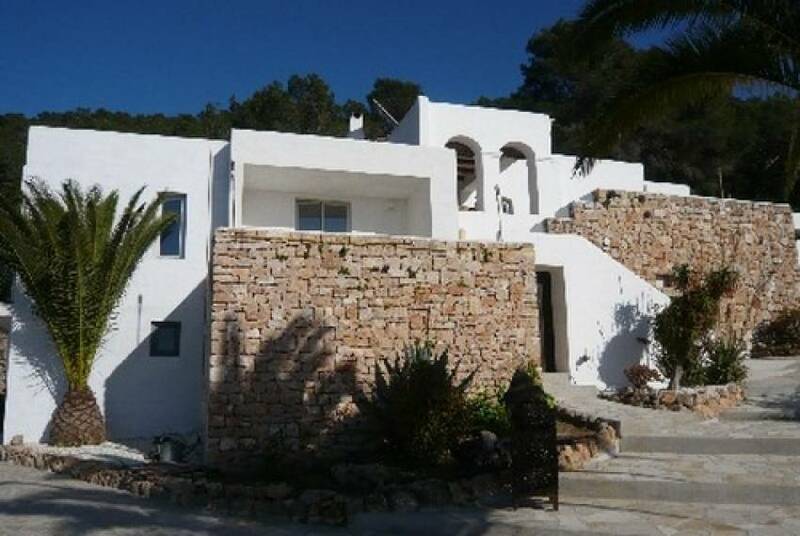 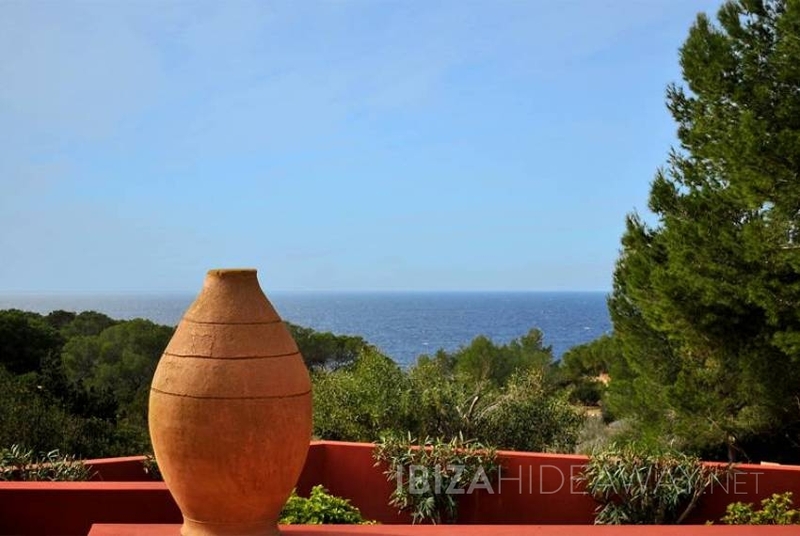 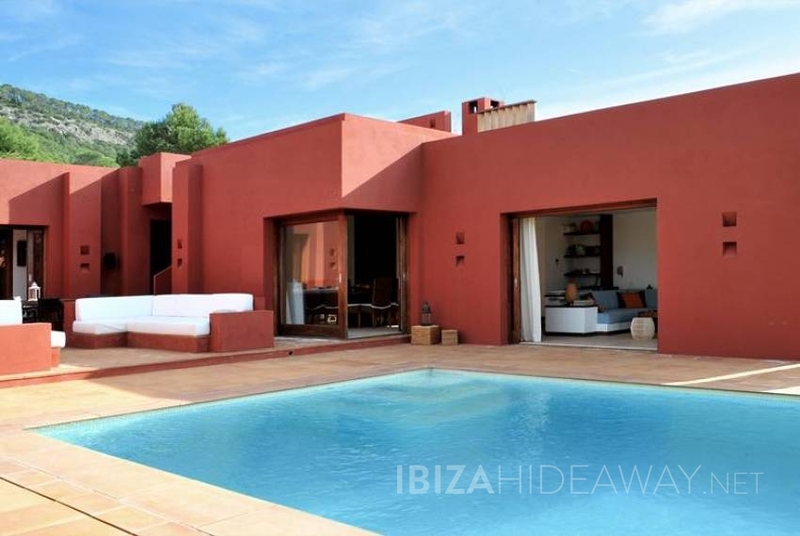 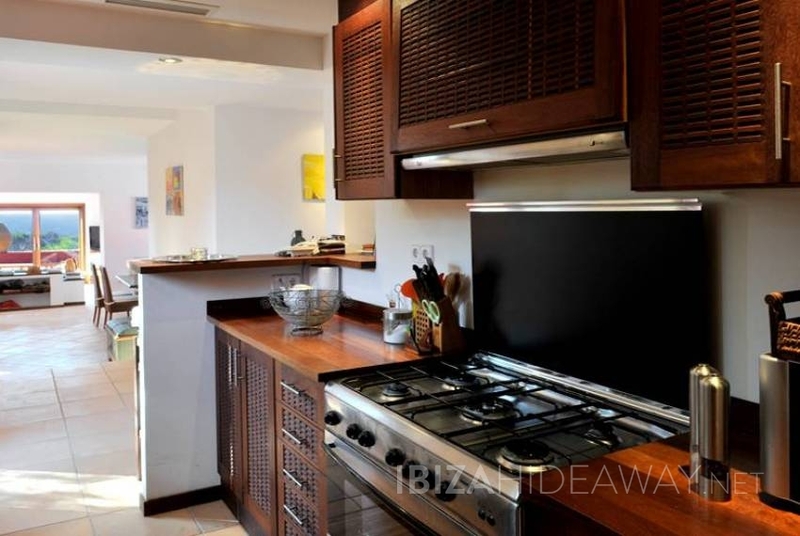 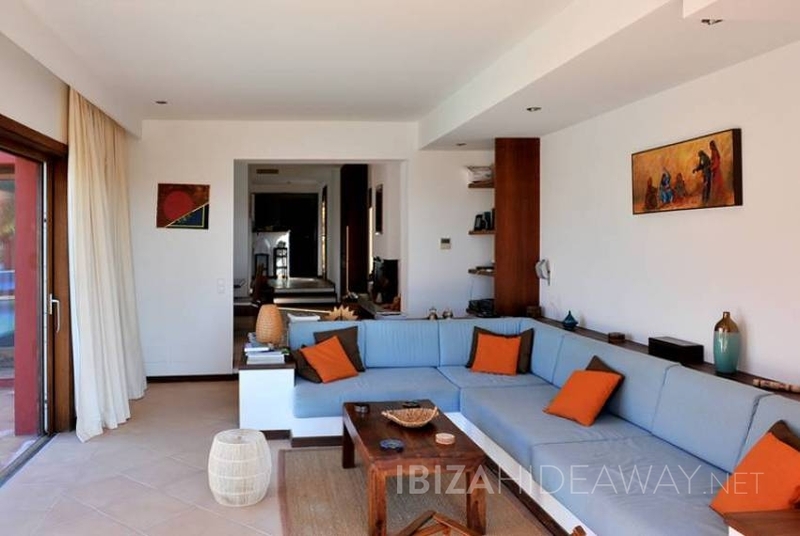 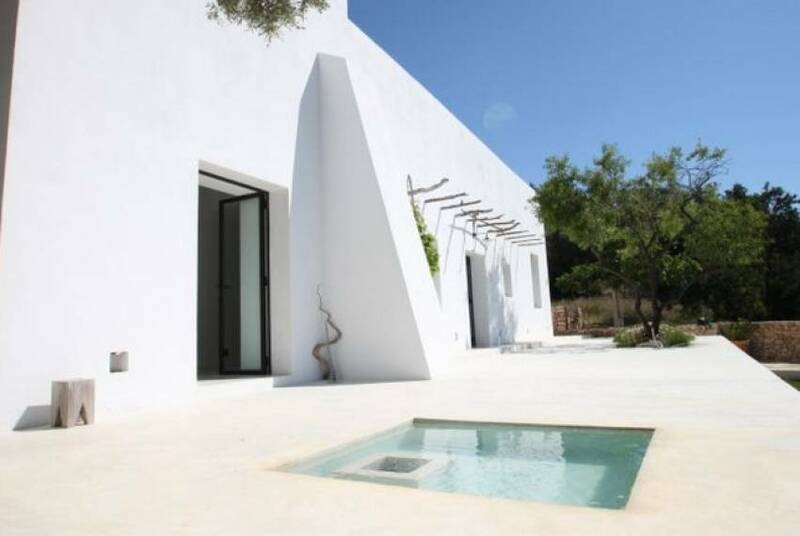 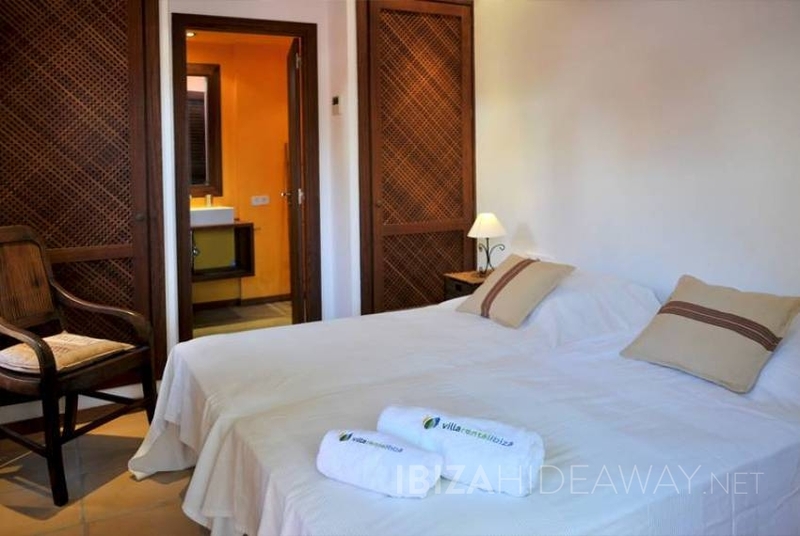 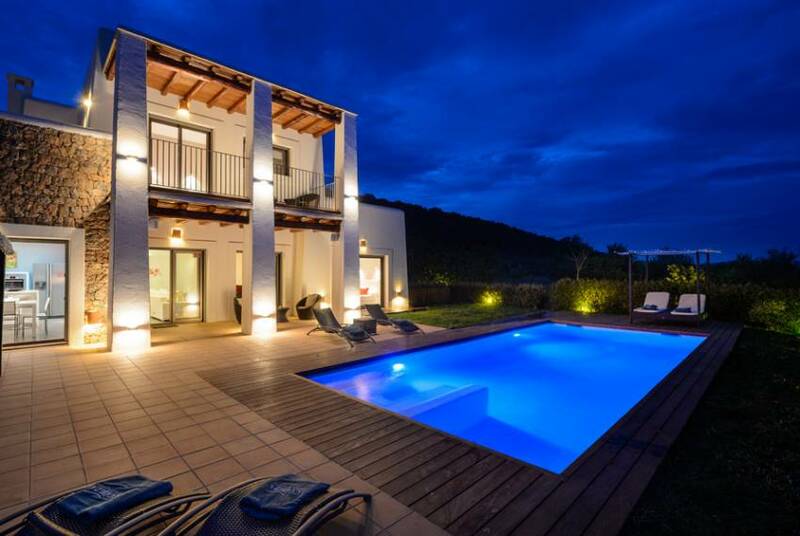 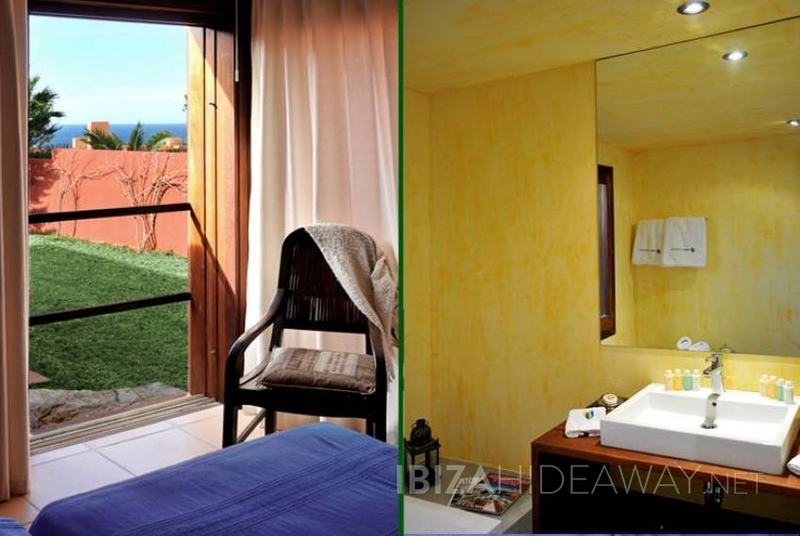 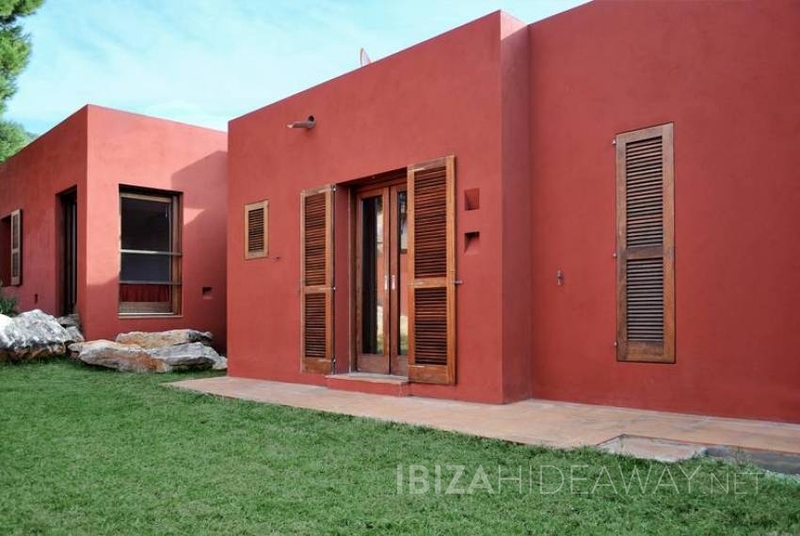 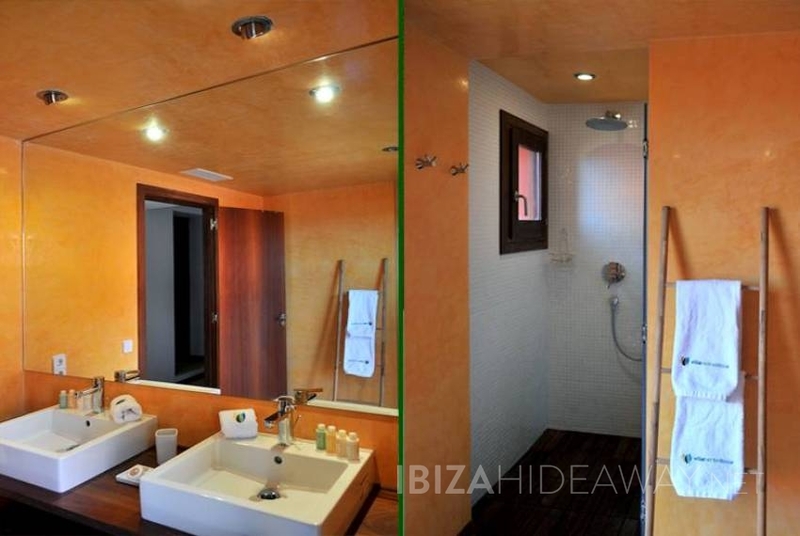 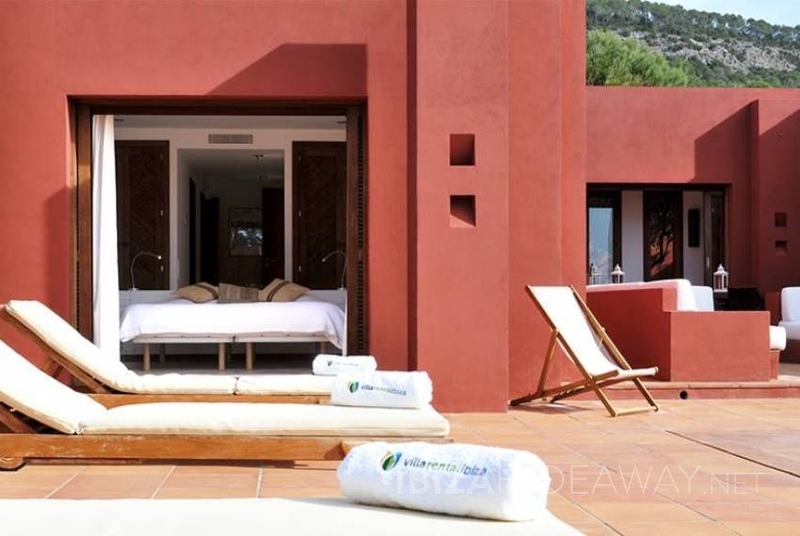 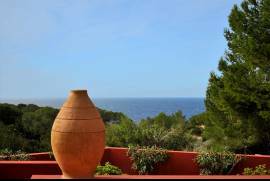 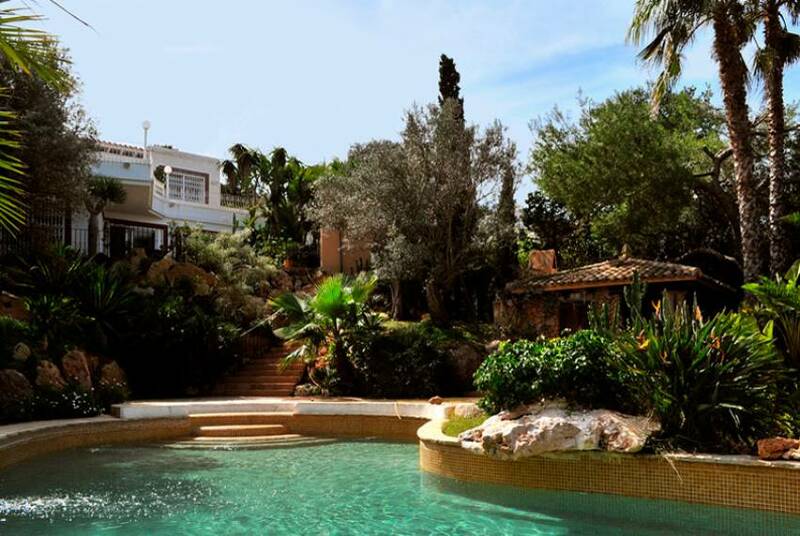 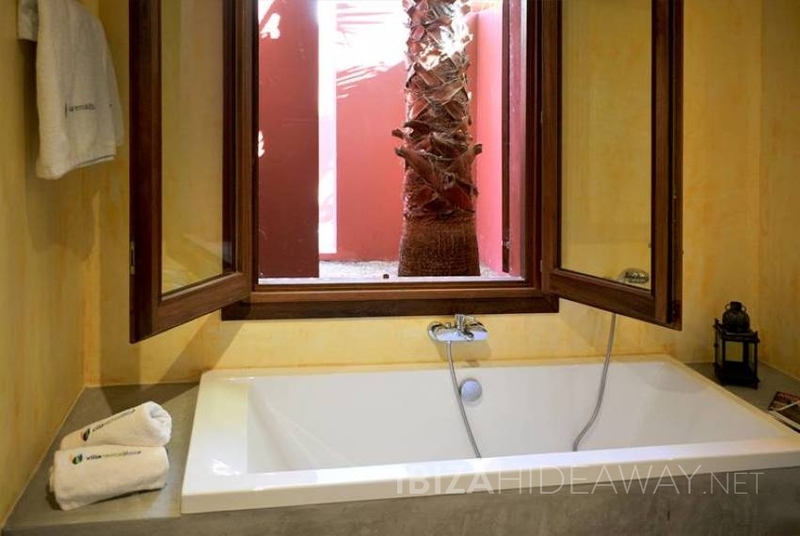 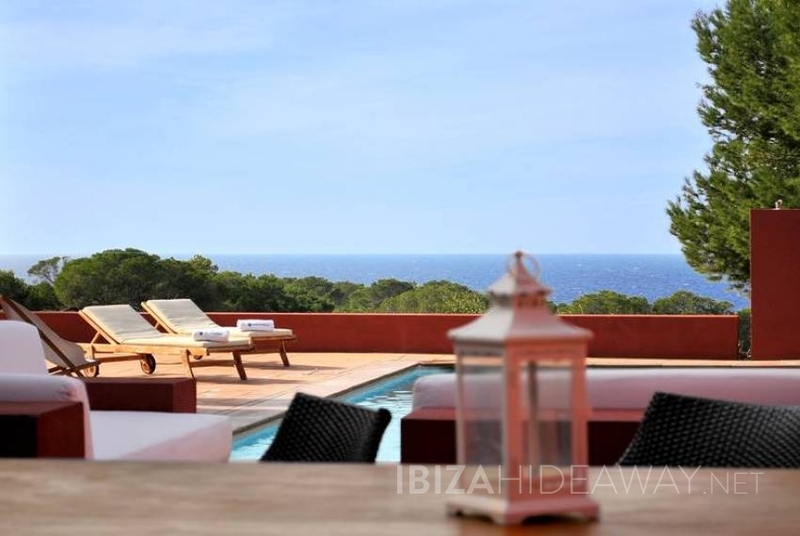 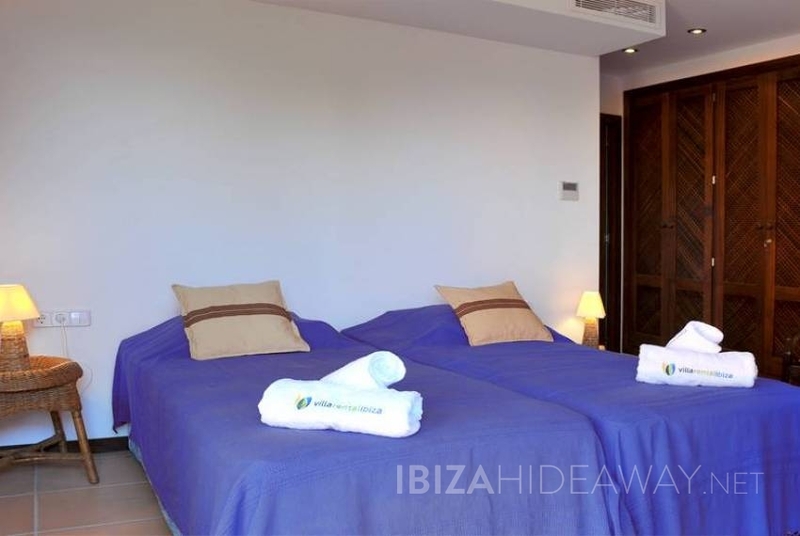 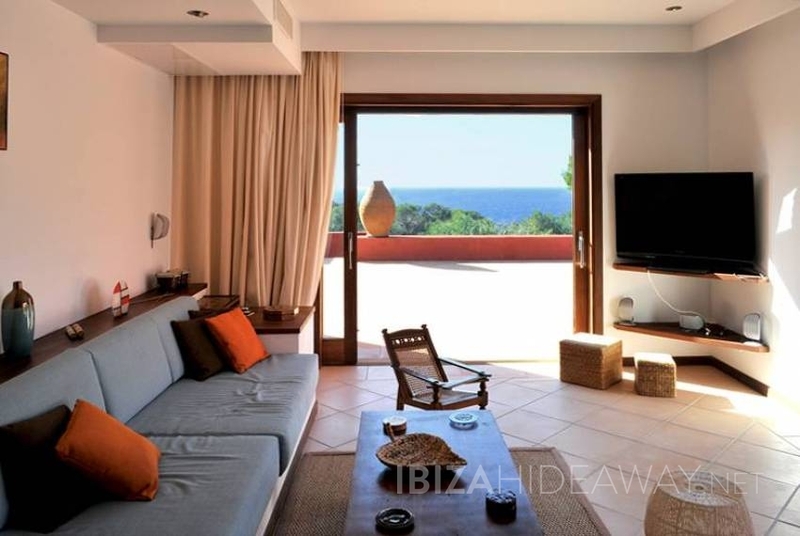 This great Mediterranean style seafront villa is located near some of the most beautiful beaches on the island, - Cala Vadella and Cala d'hort. 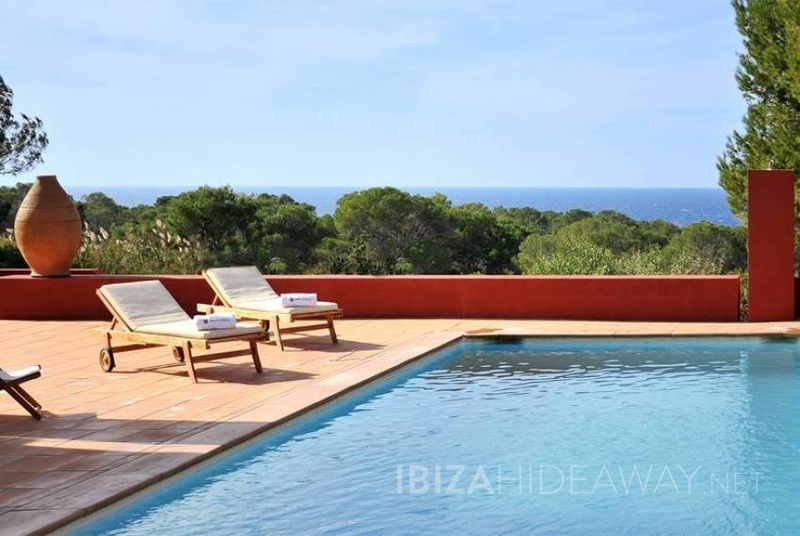 From this five bedroom mansion it is only a little walk down a staircase to the sea, where you have a rocky platform and can plunge into the sea. 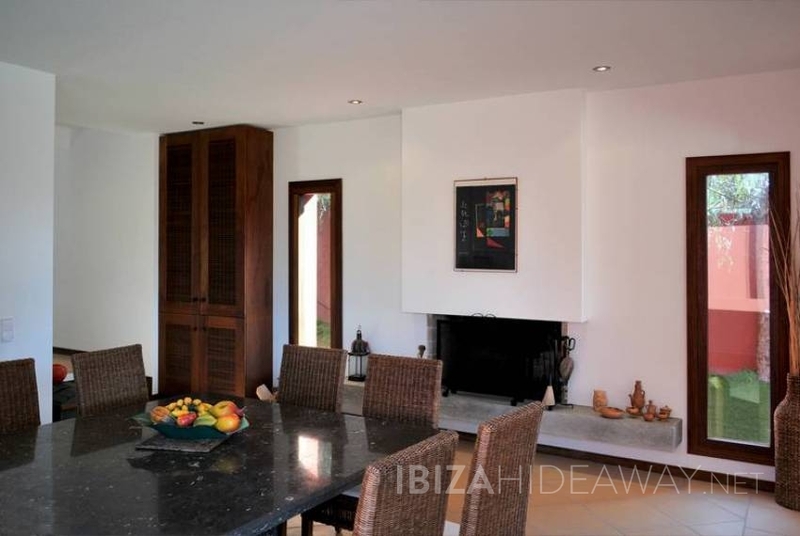 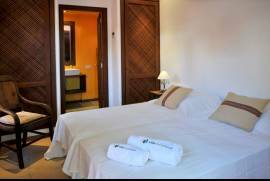 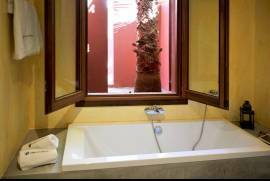 The villa is found in an upscale and quiet residential area. 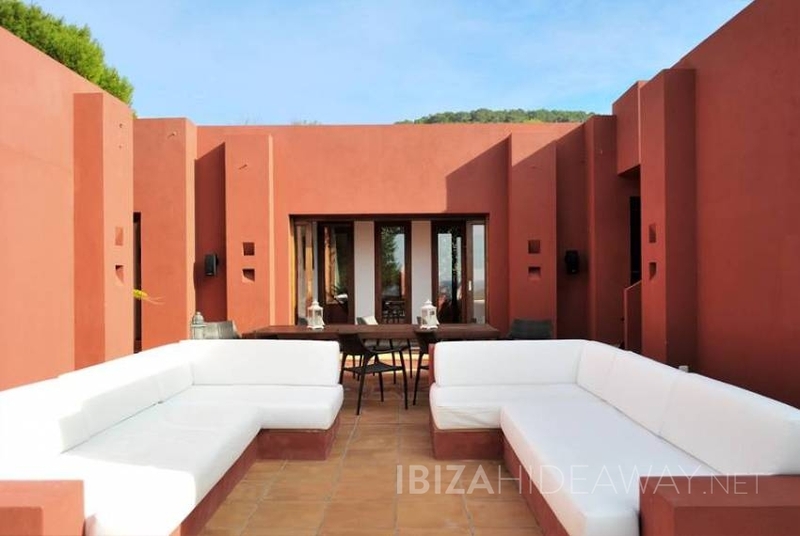 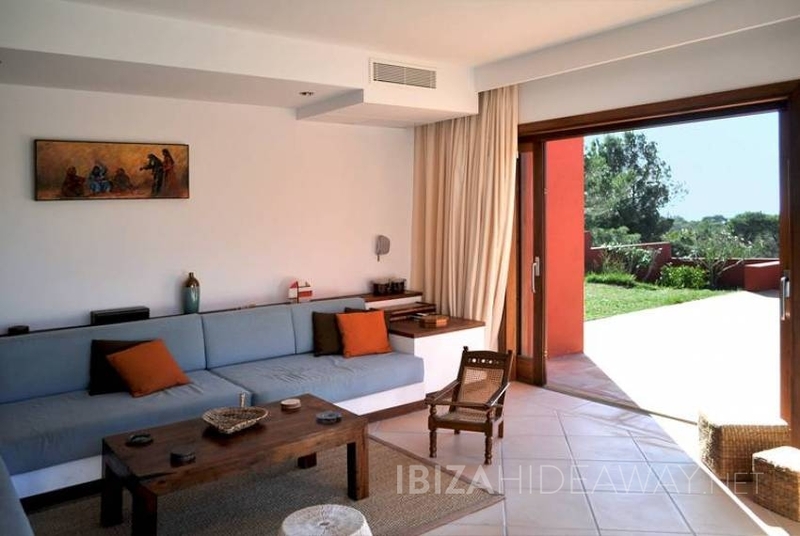 The villa is a 260m2 building which is fully gated and offers sweeping views from all points inside and outside the house. There is a huge terrace built on several levels and surrounded by lawn areas, where all the outdoor life can take place. 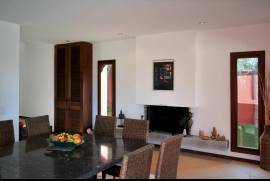 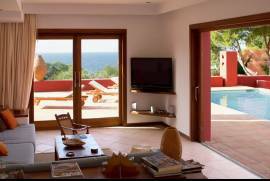 Apart from the dining area the villa offers two outdoor seating areas and the sundeck around the pool. Inside the bright building with its big sliding windows you will find an open plan kitchen and dining area which leads into the living room. Behind the kitchen there is an extra room for storage and access to the garage. 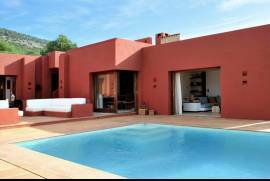 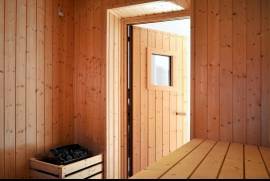 There are three bedrooms in the main house and two separately accessible guest rooms inside the property.